The challenges along the way were many, but there were three substantial ones. Our team met Andrew Mahony at a short seminar some 3 years ago. At the time, Andrew had decided he wanted to give up his secure job and become involved in something positive that would help people improve their lives. 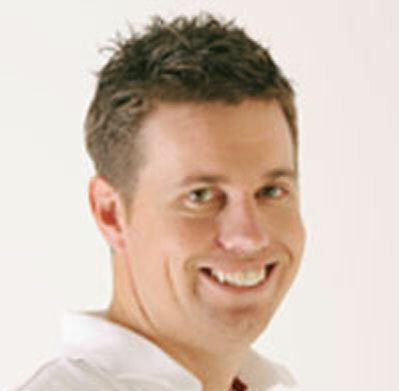 As a young man Andrew had qualified in the field of exercise physiology however, with the profession still in its infancy at the time, there were few jobs available and his working life took a different path and he worked as a NSW Police crime scene investigator and as a rehabilitation consultant with CRS. Starting his own business wasn’t on the cards when he set out – he’d seen his parents work long hours and experience the financial challenges of being in business and decided it was a stressful lifestyle he didn’t want. However, when he experienced stroke symptoms himself, he decided it was time for a change. When Andrew first met with MaxMyProfit he’d decided he’d like to start a business that helped people in rural areas to improve their fitness and physical mobility. When an Australian public servant decided to give up his secure income to set up his own business 3 years ago, his vision wasn’t particularly clear. And he had no idea that his conversation with an MaxMyProfit at a short seminar would result in a winning relationship that would lead him to develop a multi-million dollar award winning enterprise in just 3 years. Andrew had no experience in developing or running a business and was a sole practitioner just starting out. Technically, there was no business. Andrew joined one of MaxMyProfits program, a 1 day a month course that ran over 12 months, to gain the knowledge he’d need. Andrew learnt about the difference between operating a business as a sole practitioner and creating a profitable business that could run and provide income without his presence. Andrew says this required a substantial shift in mindset for him – he wasn’t motivated by money and it wasn’t until his coach pointed out how many more people he could help with a larger enterprise that his vision changed. As the revenue increased quickly, engaging a manager became not only a possibility, but almost an emergency – someone had to establish and maintain the systems that would sustain the business as it continued to grow rapidly. Andrew was eventually convinced and Peter Annis-Brown (now a co-owner and director) was engaged. Andrew increased his coaching to one-on-one level and his MaxMyProfit worked with Peter and Andrew to take Rural Fit to the next level. Systems for sales, marketing, recruitment and other important processes were establish. This change had the added advantage of freeing up Andrew’s time and allowing him to do more of what he enjoys. As a fast growing business, it was a case of needing to invest in personnel ahead of time to ensure the business could keep up with demand. This is a common situation for accelerating businesses and one that creates the risk of the business becoming insolvent. In the case of Rural Fit, costs were higher than they should have been because of the delay in establishing systems that would streamline the work and reduce expenses. Andrew obtained an overdraft which partially alleviated the problem. As systems were set up, costs began to reduce. Rural Fit turned over around $200,000 in its first year. Last year the figure was almost $2 million. Rural Fit won ESSA Business of the Year in 2013 and the NSW Business Chamber’s 2013 Award for Excellence in Small Business. Andrew has not only successfully made the transition from wage earning public servant to successful business owner, he has created a lifestyle that allows him to spend his time with his wife and children, enjoy life and assist some of the causes he’s passionate about.